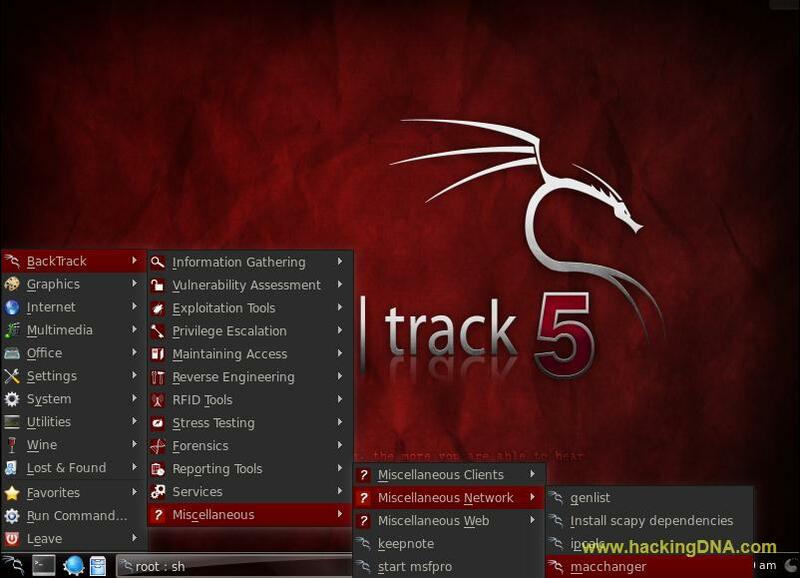 macchanger  is a Linux utility for viewing/manipulating the MAC address for  network interfaces. macchanger is created by Alvaro Lopez Ortega . 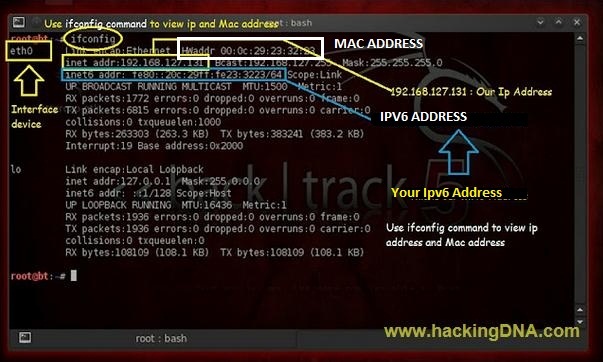 Use ifconfig command to view ip and Mac Address . To down your interface , press enter the command . 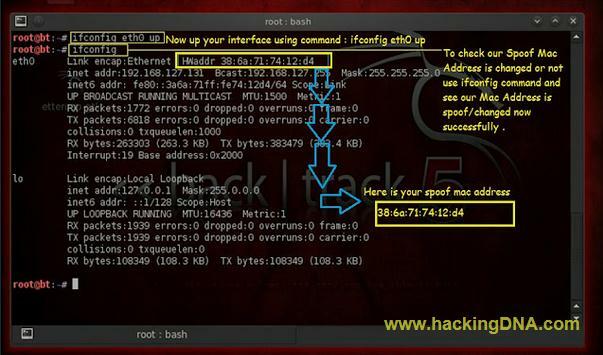 Command : ifconfig eth0 down . 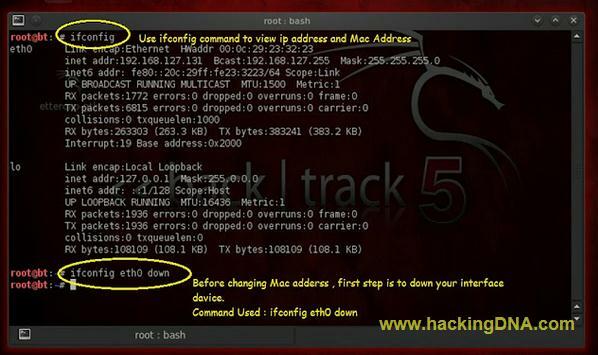 To change mac address use the command . To up your interface , use the command . 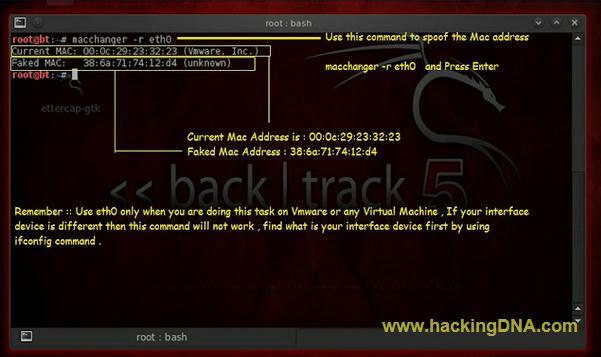 Can macchanger also change your laptop's mac address ?